Gift giving can be tough. Iit seems that sometimes, no matter how hard we try, it’s really hard to buy the perfect gift. 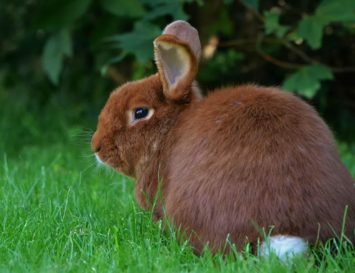 So – how can we get it right? First of all, and most obviously, give what you think the recipient would like to receive – something that smells nice, feels good, or is useful. Secondly, don’t go too crazy on the fanciness. Giving a skin cream is one thing; giving a gift certificate for a five star salon that’s on the other side of town and only has availability Monday mornings until 1o.30 becomes a chore for the recipient. Finally, don’t be afraid to repeat gift themes: if you’ve got a circle of five friends to buy for, it’s fine to get them all luxurious scarves, movie tickets, or beauty products. Clean Beauty Gift Sets are, in my experience, always a winner. They tick a lot of boxes: they’re useful, aromatic, and beautifully packaged, too. Here, I’ve tried to make your Christmas shopping that little bit easier by suggesting some such indulgent clean beauty gift sets that anyone -including you- would be happy to receive. 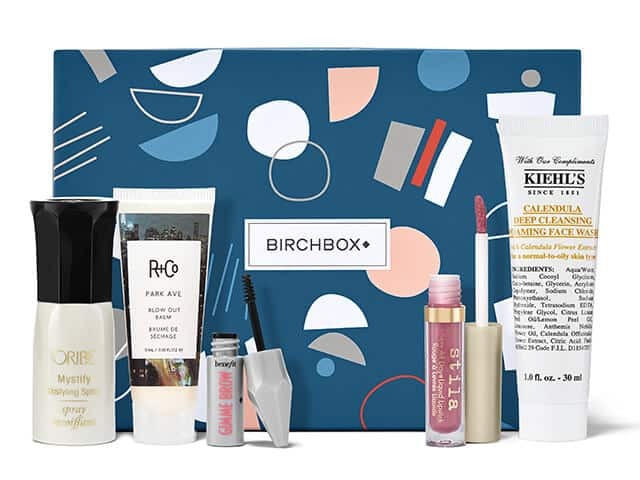 Birchbox is an online store that offers lifestyle and beauty products each month. They do an amazing monthly vegan and/or clean beauty subscription box, including 4-5 products ($45-$64 value), which are selected based on your beauty needs and preferences. Each box comes with an information card about the products inside it, along with the prices of the full-size products. Give someone the gift of great skin with a daily ritual beauty kit that will become welcome part of their daily beauty routine. Miranda Kerr’s research and development teams spend three years working with organic chemists and aromatherapists to perfect each Kora Organics’ product, and their Daily Ritual Kit has everything needed to cleanse, mist and moisturise dull winter complexions. Give the gift of beauty! This makeup selection was designed to give a healthy, flawless complexion. Skin will look and feel gorgeous all day long with these vegan, lightweight skin perfecting essentials that any woman would be happy to receive. Comes in six skin tones that range from the fairest to the richest deeper shades to cater to women of all ethnicities around the world. 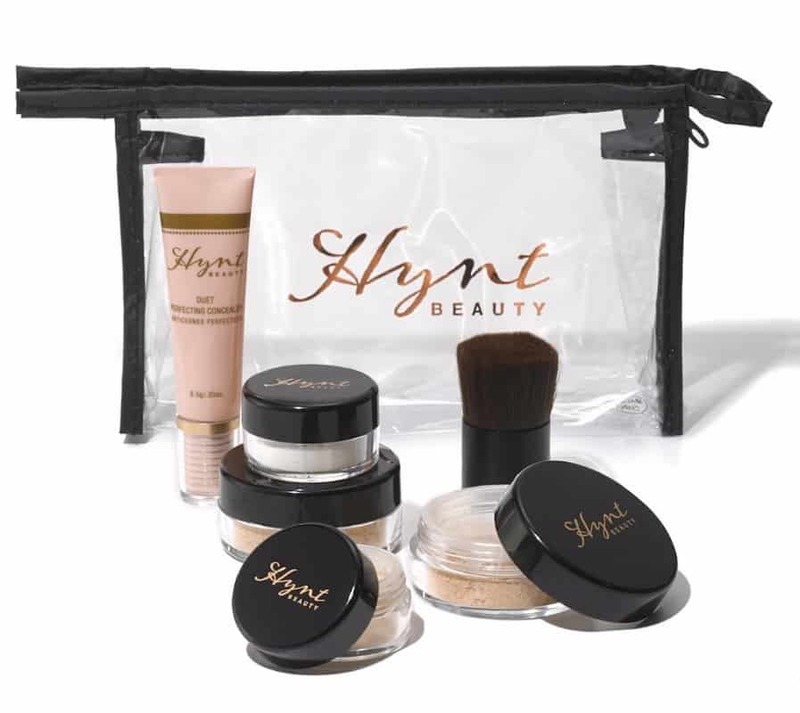 Contains 2 mineral powder foundations, a concealer, finishing powder, radiance boosting powder, vegan flat top makeup brush, cosmetics bag and makeup tips advice card. Someone on your gifting list have you stumped? 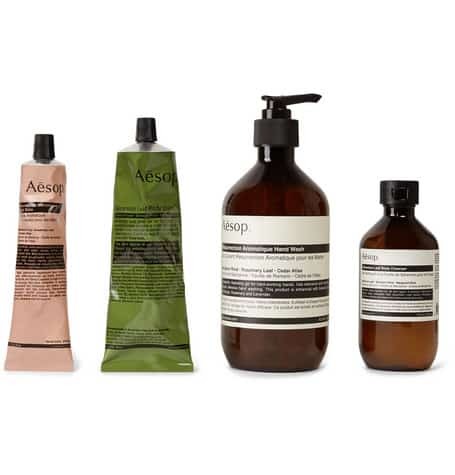 Try Aesop’s ‘Sway’ grooming kit, which contains a hand wash scented with Mandarin, Rosemary and Cedar, a hand balm with the same aroma, to moisturise skin and cuticles, Geranium Leaf body cleanser and a rich Geranium Leaf body balm. All products are completely unisex and come housed in a reusable zipped case that makes the daily routine a breeze. This sweet set gives a sampling of all Ooh! Oils from Heaven’s best facial oils, including Natural Cacay Anti-Aging oil, Organic Argan Moisture Retention oil, Organic Moringa Anti-Oxidant oil Organic Rosehip Cell-Regenerating oil and Marula Natural Replenishing oil. It’s the perfect introduction to face oils for anyone who may be curious to try them. 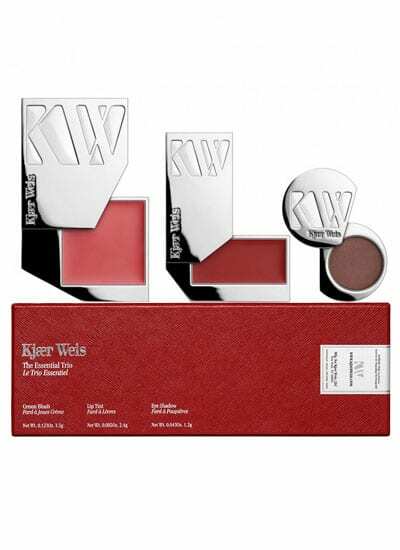 All any woman needs to be gorgeous this season is a great eye shadow, lip tint and cream blush – and all are provided in this ‘Essential Trio’ set by clean beauty brand creator and makeup artist Kjaer Weis. The shadow in Divine, lip tint in Goddess and creamy blusher in Embrace are all certified organic and come housed in the label’s sleek signature refillable compacts – it’s the perfect gift for beauty enthusiasts. 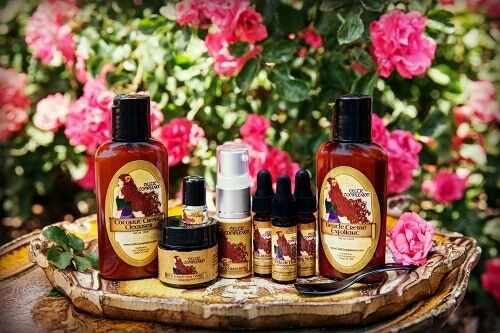 This varied kit contains the entire Celtic Complexion collection in convenient sized jars and bottles, suitable for air travel. There’s enough product here for approximately 2-3 weeks of continuous use. Housed in an organza pouch, you’ll find Celtic Complexion Creme, Tinted Moisturizer with SPF (which we love! ), Youth Infusion 7 High Potency Serum, Vida de Fleur Liquid Moisturizing Serum and Calming Serum, Gentle Crème Exfoliant and finally, a Coconut Creme Cleanser. One for the boys! This kit contains just what every guy needs: one organic Face and Body Lotion enhanced with Vitamin E, a Rich Hair and Body Wash, Tropical Shaving Cream and a 100% cotton face cloth. It’s the ideal bath, shower and shaving kit for men, and each product is infused with a rich, natural sandalwood scent. Great for the rose lover in your life! Formulated for all skin types in need of hydration and perfecting, this pretty set is great for healing winter skin. It contains a super lightweight serum featuring a selection of natural fruit acids to exfoliate, smooth and clarify skin. There’s also a Pink Cloud Rosewater Moisture Cream to hydrate and nourish skin with a blend of rosewater, aloe, kukui oil, and white tea, and finally, there’s a Rose Hibiscus Hydrating Mist toner that contains rosewater, coconut water, aloe and hibiscus extract. Green tea is a well known antioxidant with anti-ageing properties – and it tastes awesome, too! 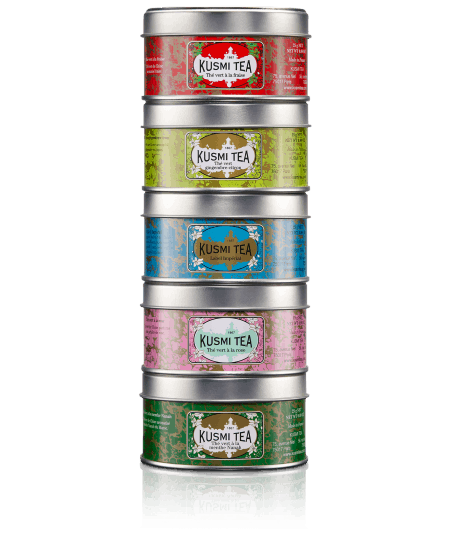 This assortment includes so many tasty flavours: there’s strawberry, rose, spearmint, ginger lemon and finally, the brand’s crowning glory -Imperial Label that boasts a subtle blend of orange, cinnamon, and licorice. Just a good one especially for its versatility, can be for man or woman, young or old (so great secret Santa or grab bag gift!) is a travel set or gift set from Yu-Be Skin Care. 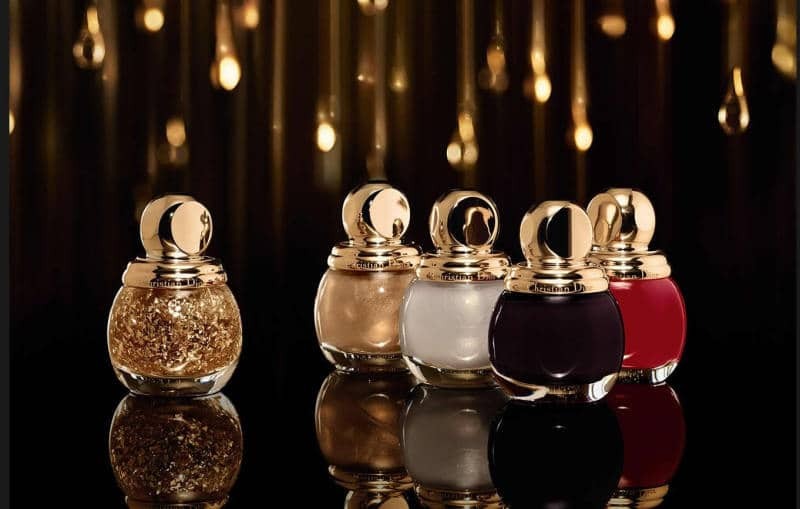 I’ve found their line to be much more effective than something the more frou-frou products so the fact they make sets is great around the holidays.